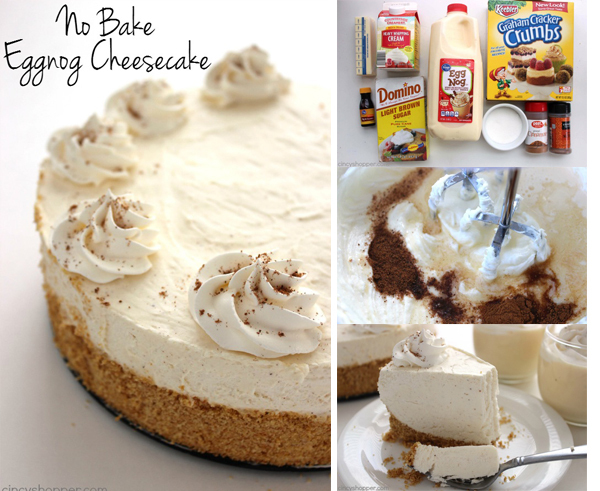 I am a HUGE fan of no bake cheesecakes. 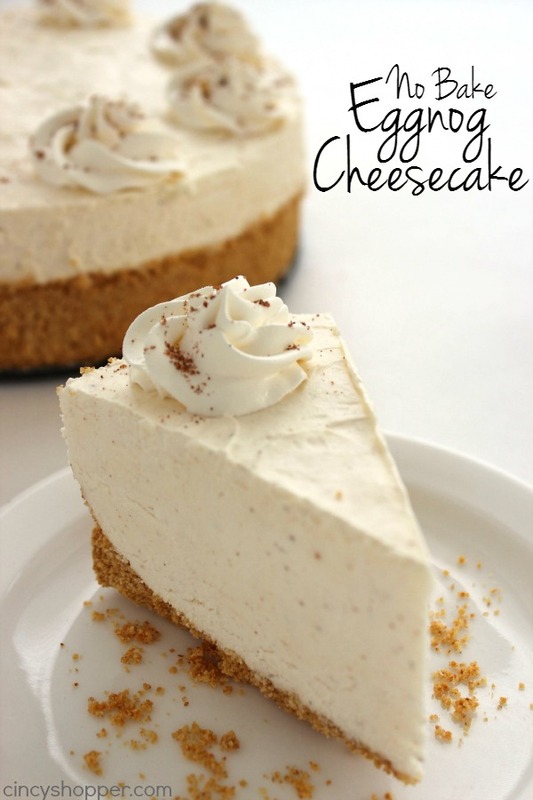 I have shared our favorite No Bake Reese’s Peanut Butter Cheesecake as well as quite a few other all year round cheesecakes. 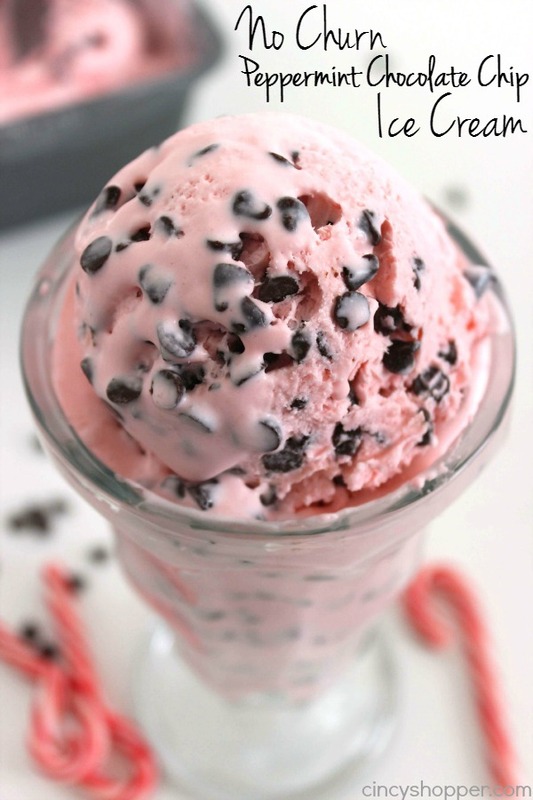 During the holidays, offering up holiday flavors in our desserts always makes our holiday desserts so much better. 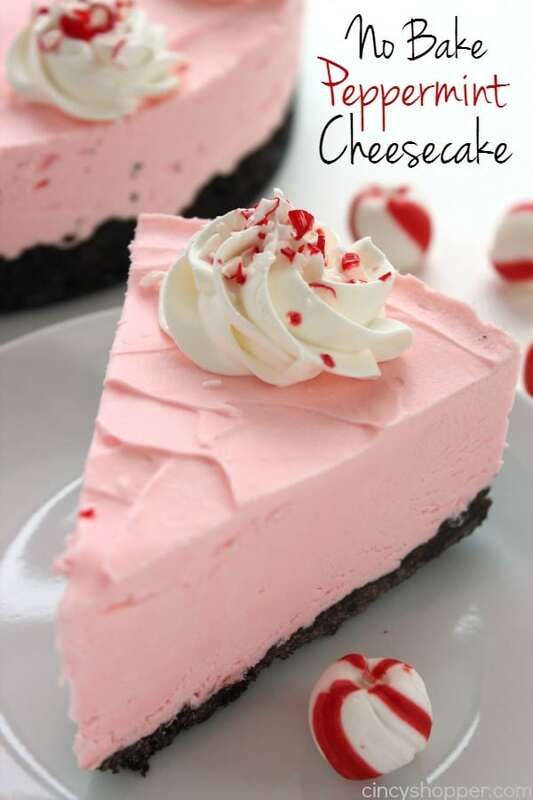 After sharing our No Bake Peppermint Cheesecake with you last week, I needed a dessert for a family Christmas gathering. 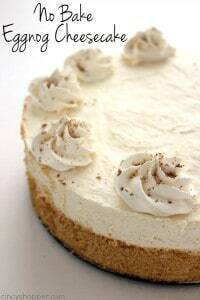 So a No Bake Eggnog Cheesecake was my potluck dessert. 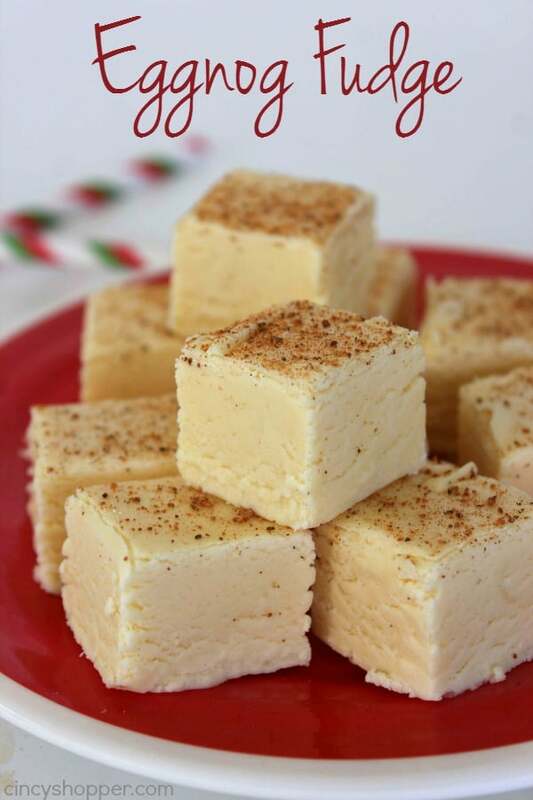 I had plenty of eggnog left after making a batch of our Eggnog Fudge so it sounded like a great plan. And… a great plan it was. 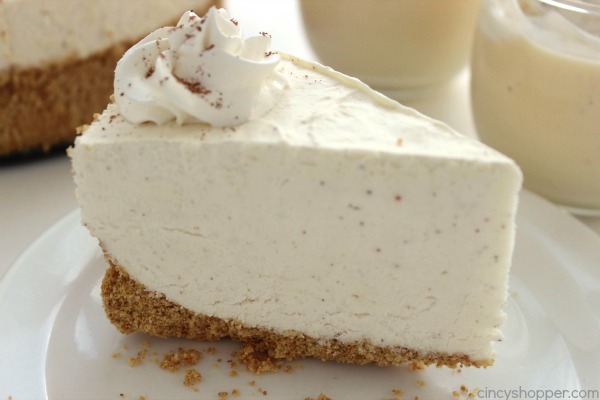 This dessert has now been added to our list of favorite holiday desserts. Everyone loved it. 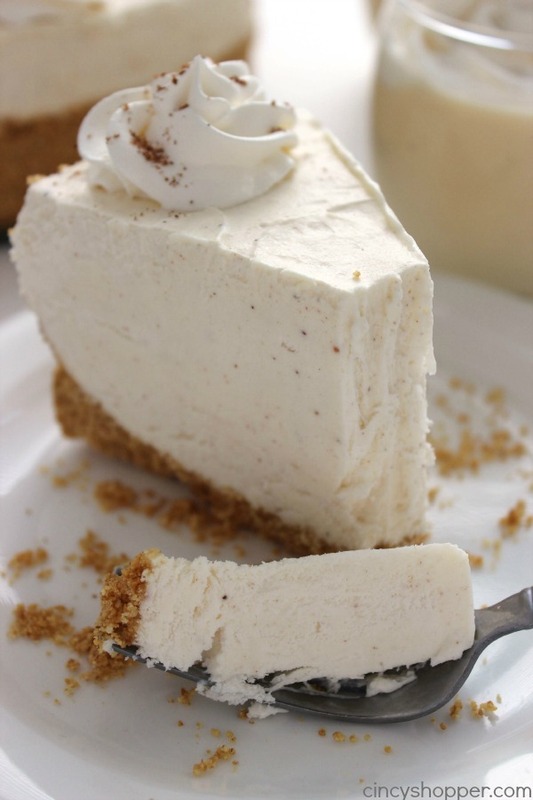 There were a few that were not eggnog fans and they are now under the impression that eggnog is great when it is in this No bake Cheesecake. 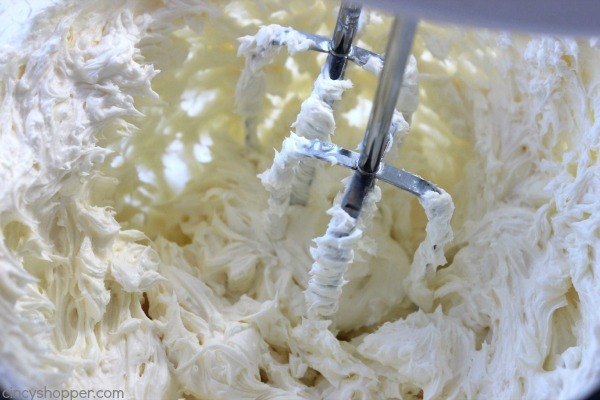 I had numerous requests for this recipe while at our family party. 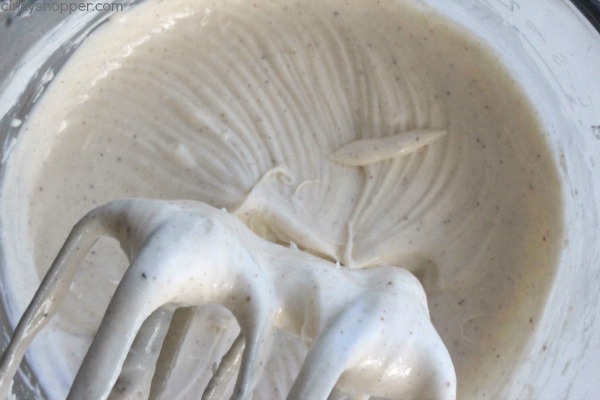 I have to admit that I was shocked at how such a simple recipe could taste so amazing. It is really that good. My kiddos and hubby loved it and decided that another one needed to be made for home. I actually have another I am working on today for this weekend. 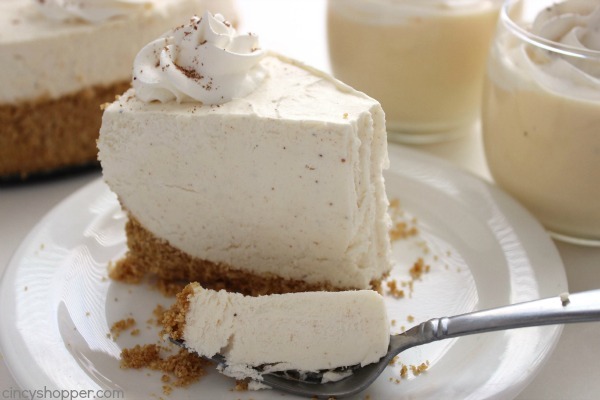 Even if you are not a fan of eggnog, I highly suggest you give this eggnog dessert a chance. 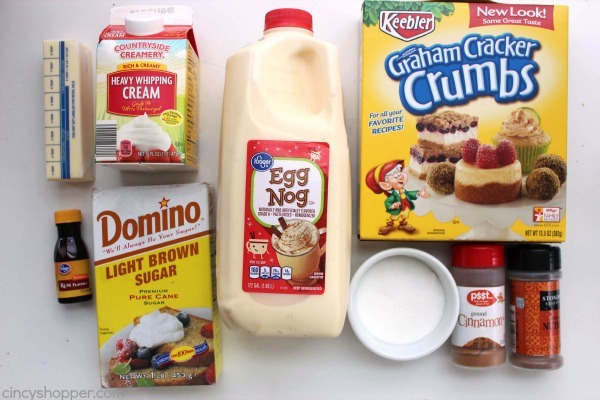 You will be surprised at how tasty eggnog can be. 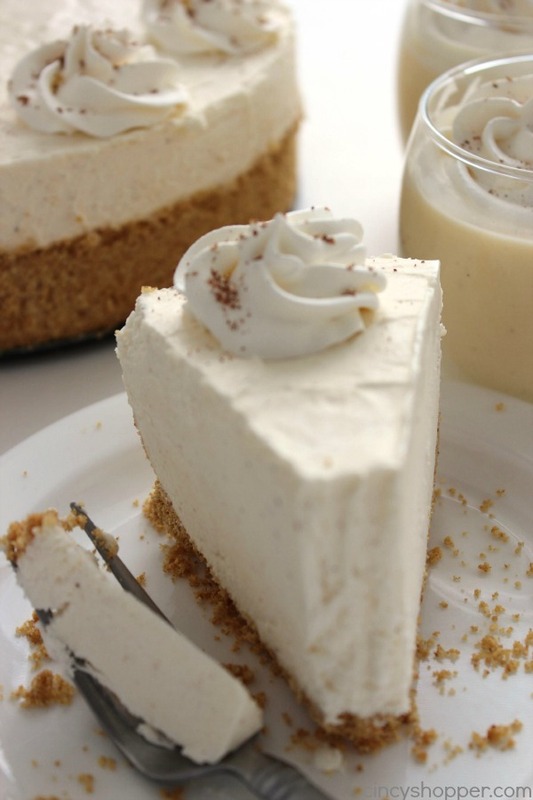 This No Bake Eggnog Cheesecake only requires a few ingredients. 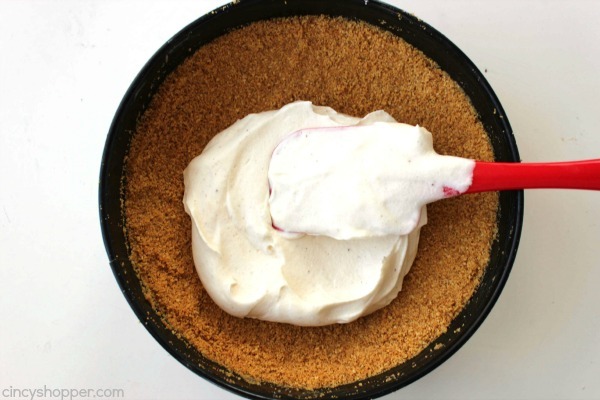 You will need graham crackers (I used graham cracker crumbs to speed up the process), eggnog, cream cheese, heavy whipping cream, sugar, butter, and a couple spices. 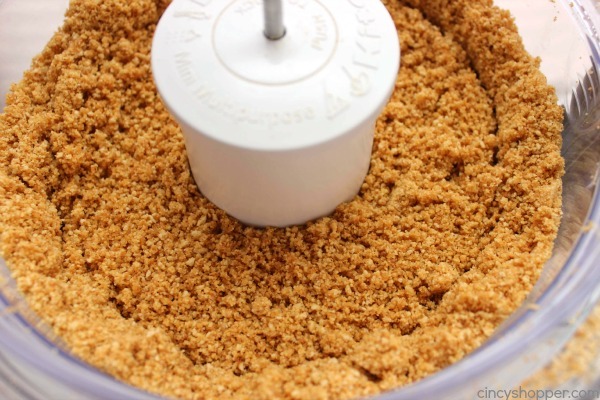 I considered using crushed ginger snaps for the crust and may eventually give that a try too. 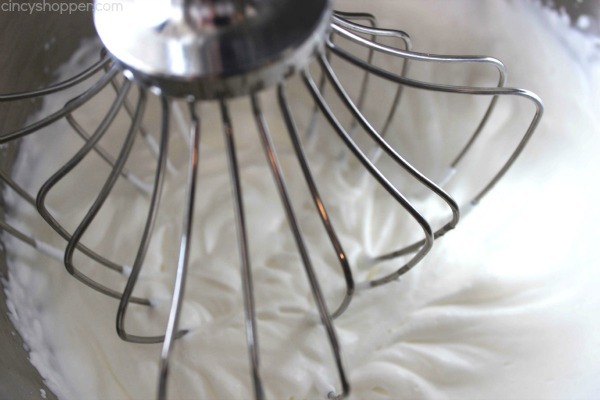 You could also use Cool-Whip instead of heavy whipping cream. I love the fresh stuff. Add in eggnog, rum extract, nutmeg and cinnamon. Beat until fully blended. 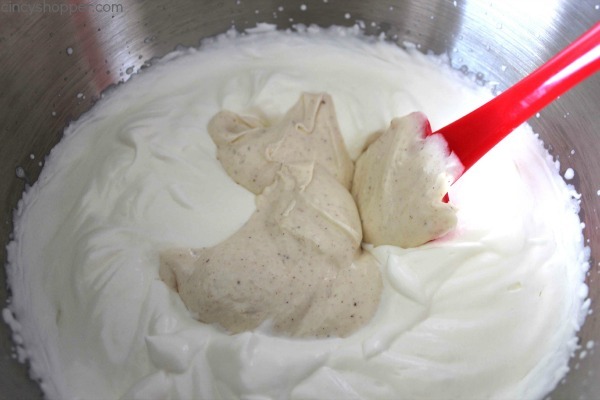 Fold eggnog mixture into whipped cream. 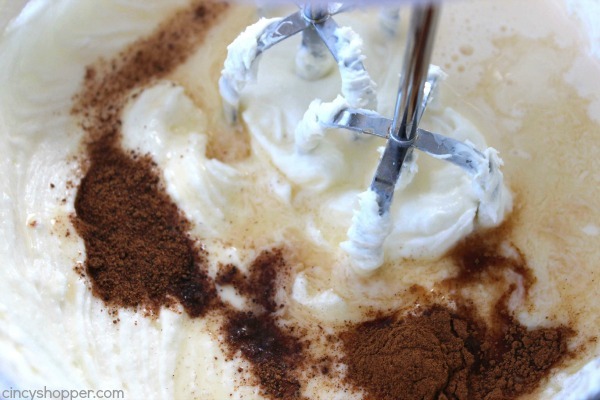 Are you a fan of Eggnog? I never was much of a fan until I was older. No, I love having it made included in some of my holiday desserts. Oh, THIS DOES LOOK GOOD! 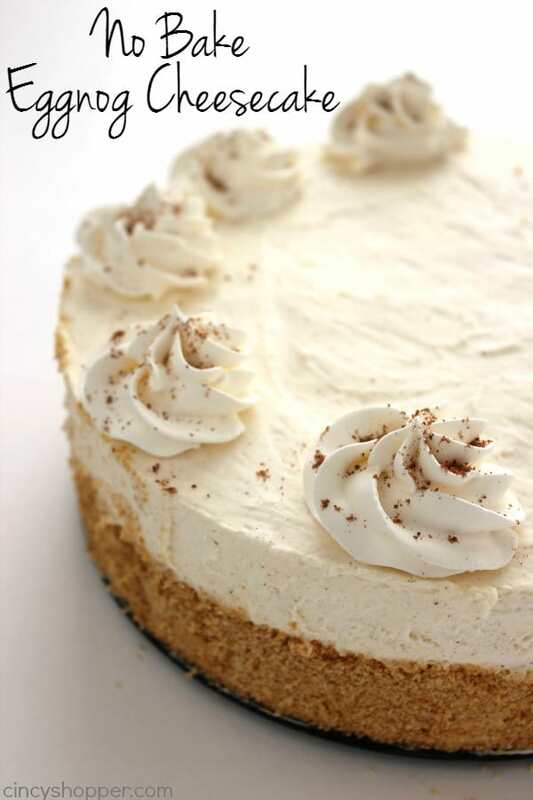 BOTH Of The Eggnog Desserts DO! Can THIS Be Eaten WITHOUT The Crust, Like A Pureed Dessert For People With Swallowing Health Problems?! YOU Have MY Vote! 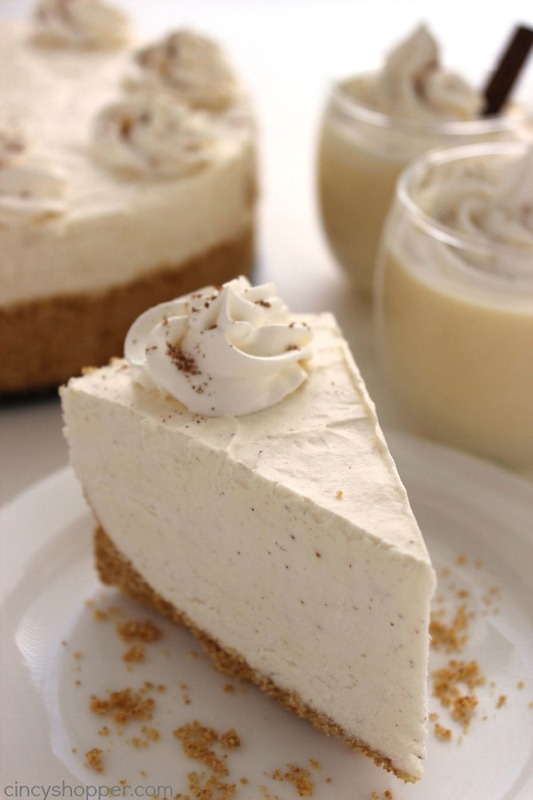 Eggnog and cheesecake, what’s not to love.Thanks for sharing on the #HomeMattersParty . I hope you will join us again in the new year. Yum Yum YUM! Definitely pinning this for next month sometime! 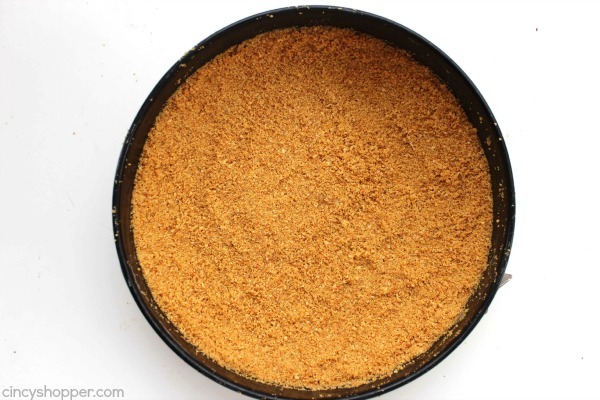 Can you get away with just using a premade Graham cracked crust?? Recipe doesn’t say which size Springfield pan to use , or does it matter ?